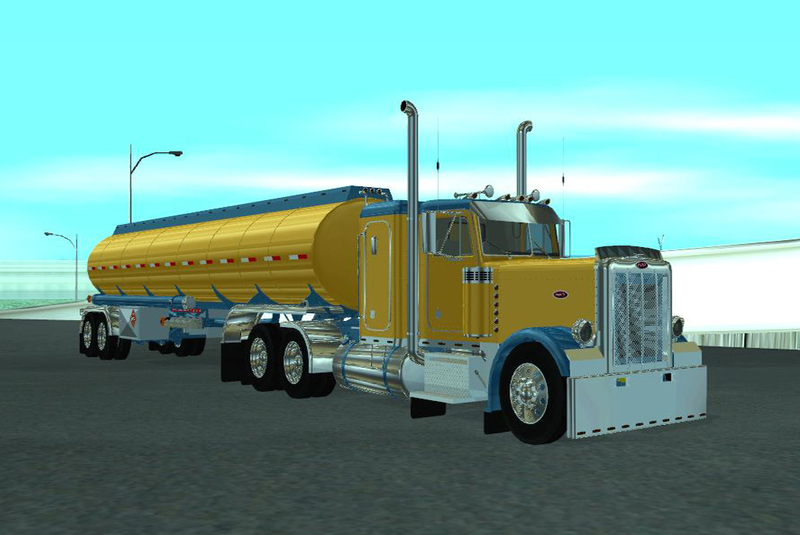 Here is a nice custom 379 Peterbilt semi truck and macthing tanker trailer for GTA's San Andreas. Use the IMG Tool V2 for installing the TXD & DFF files. 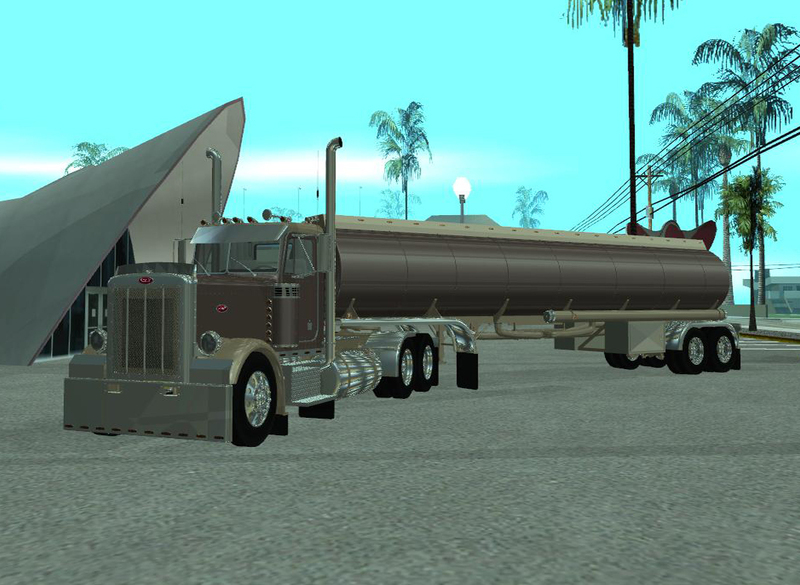 For best handling and operation I suggest using/copying the settings from the Petro in both the Vehicles.ide and Handling.cgf files from the data folder. 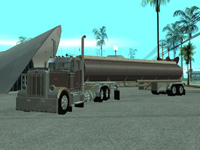 The trailer will need the same matching colors setup in the carcols file as the truck.